There are two options for the treatment of household wastewater in Hamilton County – sewers or household sewage treatment systems (septic systems). Septic systems treat wastewater from your home (dishwasher, showers, toilets, washing machine, sinks, etc.) using soil absorption, aeration and septic tanks. Hamilton County Public Health inspects septic systems in Hamilton County to ensure that they are working properly and are not creating a public health nuisance. The Metropolitan Sewer District (MSD) maintains the county’s sanitary sewer system, which treats all wastewater in Hamilton County. Obtain a sewer tap permit from MSD. Contact MSD at (513) 244-1330. Obtain an abandonment permit for your current household sewage treatment system. Contact the Health District ion at (513) 946-7800. Have your home/building’s sewer directly connected to the sanitary sewer available to your property. The Hamilton County Commissioners fund construction of local sewers by charging an “assessment” to the benefited properties. The amount of a construction assessment depends on the sewer’s actual construction costs. 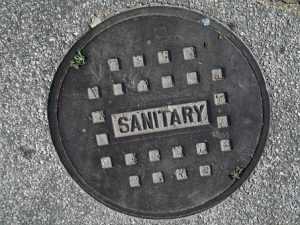 Financial assistance may be available to Hamilton County homeowners who are required to connect to sanitary sewer. Please view our Financial Aid for Sewer Connections and Septic System Replacement Fact Sheet to determine if you qualify. Assessment Assistance – It is the policy of the Hamilton County Board of County Commissioners to encourage public sewers and to help financing sewer improvements. Special assessments made be levied on properties receiving benefit from public sewer improvement. Total actual costs of the local public sewer improvement in excess of $12,000 per benefited property is funded from Metropolitan Sewer District. Also, property owners may, if they choose, pay the assessment (plus finance charges) over a 20-year period. Visit www.msdgc.org for more information.